Superhard rounded titanium carbide grains impart high wear resistance and outstanding lubricity. These smooth, rounded grains are held firmly in place by steel or alloy matrix binders; each specically formulated to provide such properties as toughness, resistance to heat, corrosion or other hostile environments. The Tic grains provide light weight, size stability and high hardness. 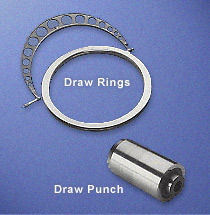 Ferro-TiC® is less brittle and one half the weight of cemented tungsten carbide. Ultra-hard titanium carbide micrograins (3200 Vickers vs. 2400 for tungsten carbide) are uniformly distributed throughout a hardenable matrix alloy. A two-fold complementary effect is achieved whereby the hard, round titanium carbide grains protect the matrix while the specially formulated matrix securely grips the self-lubricating titanium carbide micrograins. 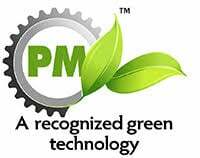 The result: greatly improved life, even when used with highly abrasive materials. 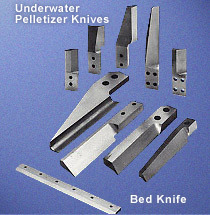 Cutting demands a sharp, keen edge for blanking punches, shear knives, rotating slitters, pelletizer knives or bed knives. The very fine, rounded, slippery titanium carbide grains nestled in a tough metal matrix resist dulling and chipping. 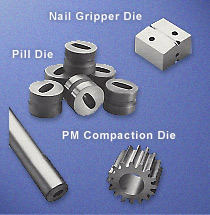 Ferro-TiC® maintains a sharp cutting edge through millions of cycles. Pick-up and galling are frequent problems when metals rub against each other at high speeds or under heavy pressure. Exposing the Ferro-TiC® titanium carbide micrograins at the working surface leaves them in relief and, in effect, minimizes metal-to-metal contact. Their smooth, rounded structure offers an extremely slippery and non-abrasive surface for contact. When working with such metals as high-nickel alloys or tough stainless steel, the Ferro-TiC® composite produces scratch-free parts throughout long production runs. For critical moving parts, even under conditions of poor lubrication, Ferro-TiC® operates with a low coefficient of friction and extended part life. Ferro-TiC® alloys offer an impressive compressive strength of up to 520,000 p.s.i. to easily withstand high compressive loading without deformations. With an elastic modulus of 40-44 million p.s.i., about half that of cemented tungsten carbide, Ferro-TiC® can take more deflection under stress and transfer more of the applied load to a stronger back-up member. As technological advances bring about ever higher production speeds and greater stresses, parts subjected to wear that retain their integrity for extended periods of time become more essential. Ferro-TiC® steel-bonded carbides are meeting that demand. 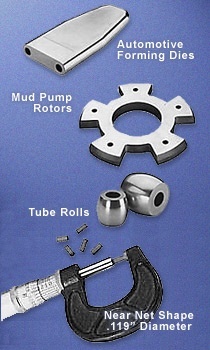 As simple wear parts, curns or cam followers of Ferro-TiC® help maintain machinery precision over years of use. 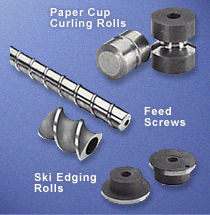 Serrated weld wire feed rolls maintain their sharpness, insuring trouble-free continuous operation. In the aerospace industry, critical hydraulic components or jet fuel pump parts must maintain very close tolerances, even when operating within contaminated fluids. Ferro-TiC® is the answer; its machinability and thermal stability are essential for the intricate shapes required. Gas bearings for inertial guidance systems use Ferro-TiC® for both the rotors and shafts. It is also used in high speed dental drills. Both take advantage of its light weight, its stiffness and its inherent lubricity, even when bearing against itself. For valve seats, stems or rtating face seals, the corrosion resistance of CS-40 is an important factor. Component parts in disc drives or data recording devices must be non-magnetic and wear resistance to ensure long life. Grade HT-6A meets these requirements. Ferro-TiC® has excellent vibration dampening characteristics, a requisite for grinding wheel spindles, boring bars and tool holders. Depths of cut can be increased. Tool chatter is reduced which results in less noise, better dimensional control and improved surface finish. Have questions about our Applications? Let us know your questions in the form below and one of our expert engineers will be in touch with you soon.